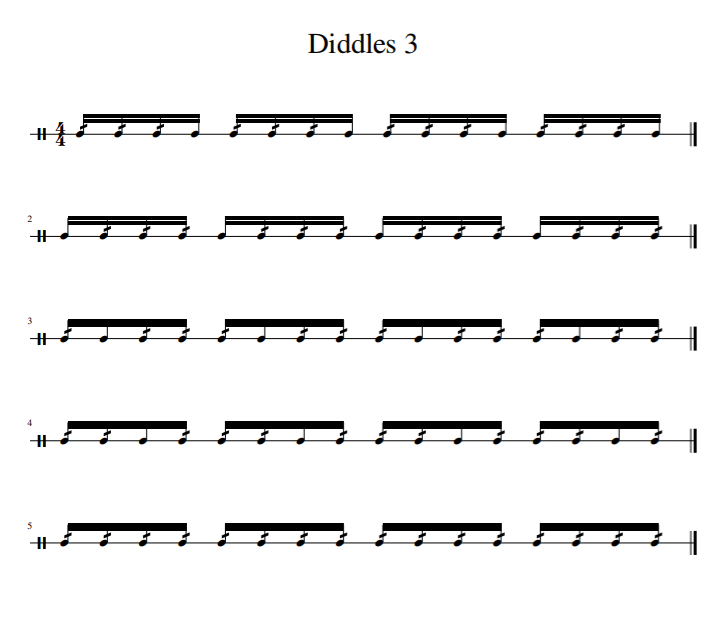 The objective of this exercise is to evenly distribute diddles throughout the 16th note grid. 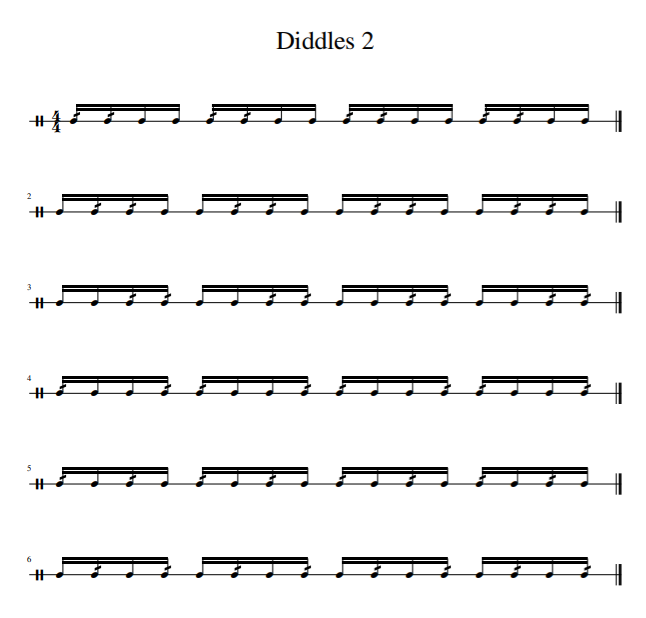 In part one we are focusing on single, double, and three note groupings starting with the “one” and making our way to covering the whole sixteenth note grid. Start with memorizing each line then attempt to play from start to finish tackling every sixteenth note possibility. There are no accents in this exercise so be sure to keep stick heights even for a controlled sound across the grid. The goal is to be smooth and flowing with no change in volume or intensity. *TIP: When going from measure to measure practice playing the connective areas such as starting on beat 4 going into beat 1 of the next measure. 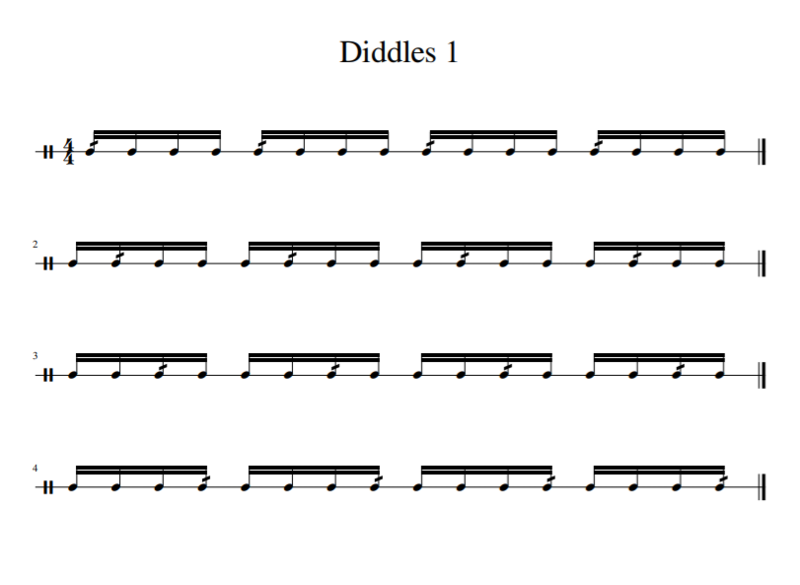 This will help for a smooth transition when switching the diddle, or diddles to the next spot.